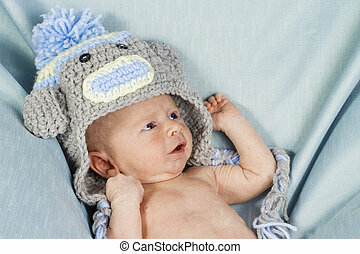 Newborn baby boy wearing an aviator hat. 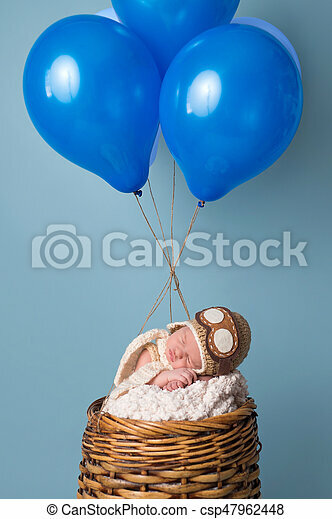 Sleeping nine day old newborn baby boy wearing an aviator hat and sleeping in a pretend hot air balloon. 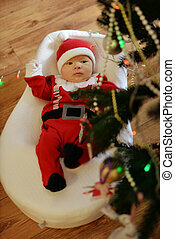 Newborn baby boy wearing a hat. 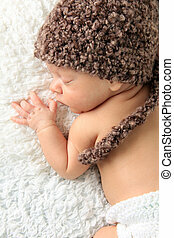 Newborn baby boy wearing a knitted hat. Newborn baby boy wearing a polka dot hat. 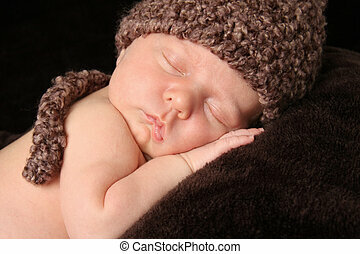 Newborn baby boy asleep wearing a knit hat. 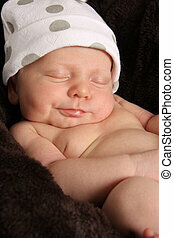 Newborn baby boy smiling and wearing a polka dot hat. 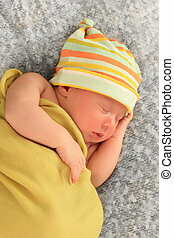 Newborn baby boy wearing a hat, asleep wrapped in a yellow blanket. 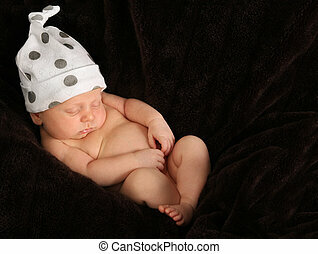 Newborn baby boy wearing a polka dot hat. Mom's finger is touching his cheek. 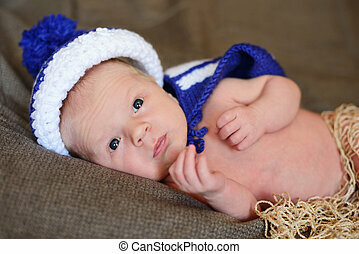 A newborn boy wearing a knitted hat laying on a blue blanket. 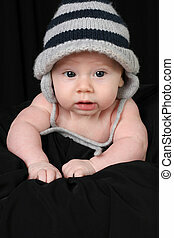 Baby boy wearing a knitted hat. 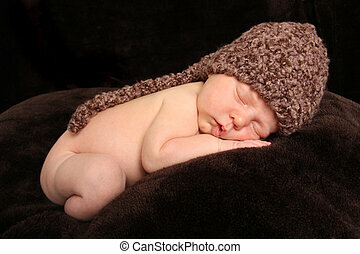 Newborn baby wearing a knitted hat. 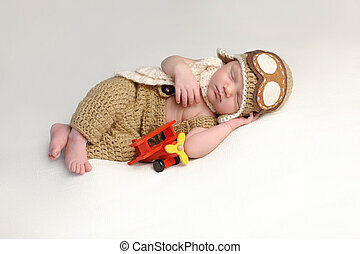 Sleeping two week old newborn baby boy wearing a crocheted aviator hat with goggles. 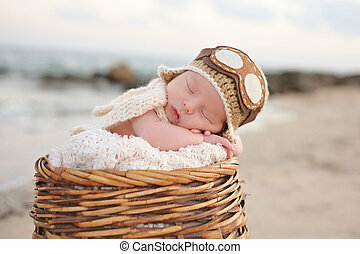 Two week old newborn baby boy sleeping in a wicker basket wearing an aviator hat. Photographed on a beach with a rock jetty. 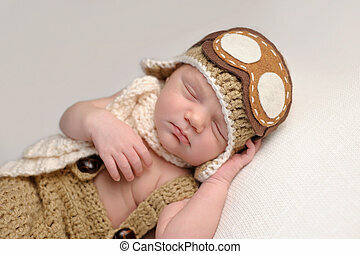 Sleeping two week old newborn baby boy wearing an aviator hat and outfit. 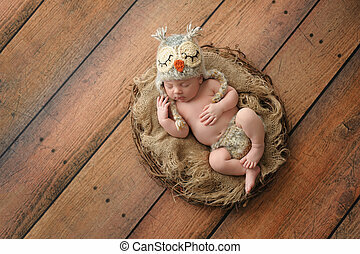 Two week old newborn baby boy wearing a crocheted owl hat and sleeping on his back in a nest. 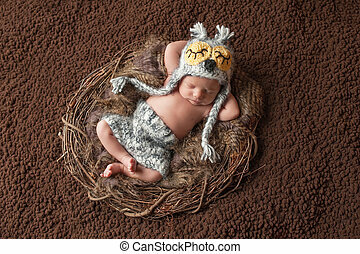 Two week old newborn baby boy wearing a crocheted owl hat and matching diaper cover. He is sleeping on his back in a nest. 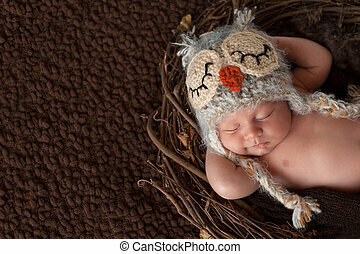 Three week old newborn baby boy wearing a crocheted owl hat. He's in a cute, curled up, chin on hands pose and sleeping on a white flokati rug. 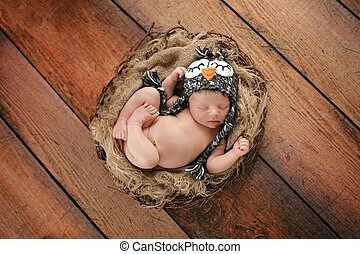 Three week old, smiling, newborn baby boy wearing a crocheted owl hat and sleeping on his back in a nest. 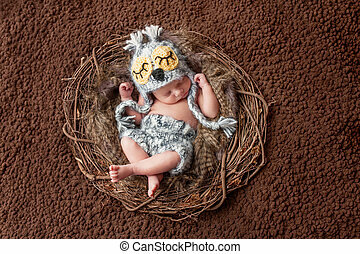 Four week old, newborn baby boy wearing a crocheted owl hat and shorts. He is sleeping on his back in a nest. 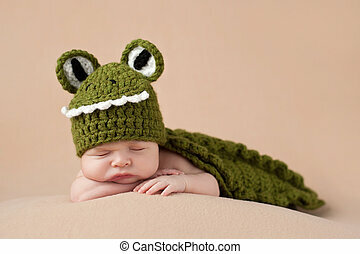 An two week old newborn baby boy wearing a green alligator costume. He is sleeping on a tan blanket. 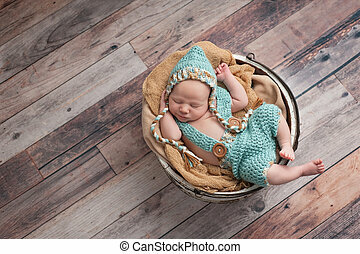 Three week old newborn baby boy wearing an aqua blue, crocheted pixie hat, shorts and suspenders. He is sleeping in a bucket. Shot in the studio on a wood background. 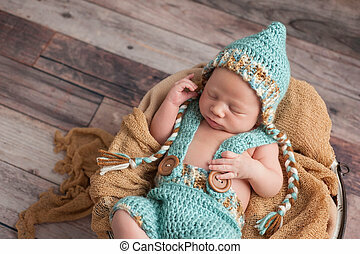 Three week old, smiling newborn baby boy wearing an aqua blue, crocheted pixie hat, shorts and suspenders. He is sleeping in a bucket. 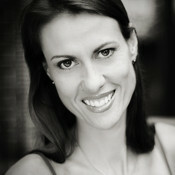 Shot in the studio on a wood background. 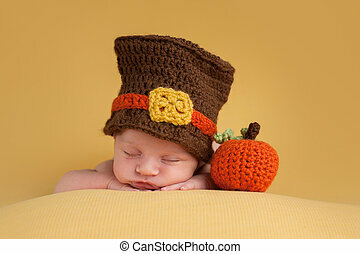 Three week old newborn baby boy wearing a crocheted Pilgrim hat. He is sleeping on a gold blanket next to a crocheted pumpkin. 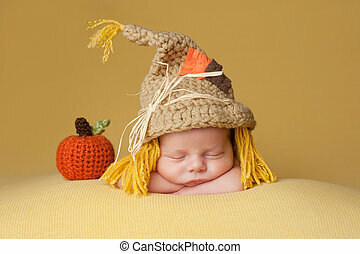 Four week old newborn baby boy wearing a crocheted scarecrow hat. He is sleeping on a gold blanket next to a crocheted pumpkin. 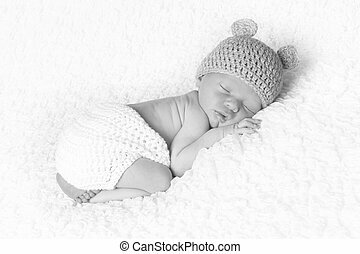 Portrait of a two week old, sleeping newborn baby boy. 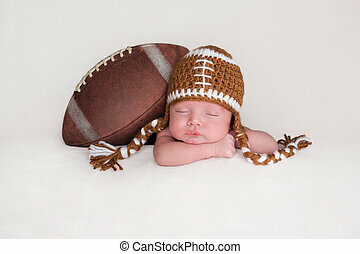 He is posed with an American football wearing a crocheted football hat.